Our goal is to pamper you from head to toe and to increase your health and well-being. The experienced and talented staff members at Montra Thai Massage are among the most qualified in the industry. 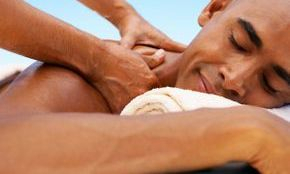 There are many health benefits to receiving massage therapy on a regular basis. Whether you need a Thai/Swedish Combination Massage of relaxation, a Deep-Tissue Massage or Hot-Stone, you'll find it here. Check out our services, and call us to make an appointment today.